We perform a Disease check on your beehive. This Certification of Inspection is due by the end of November each year. Please select the number of hives you need inspected. Please note, mileage charge extra to your site / apiary location. Every September you will be sent a form that requires that your hives are inspected by a DECA certified beekeeper. We can provide this service to our customers in the Auckland area. 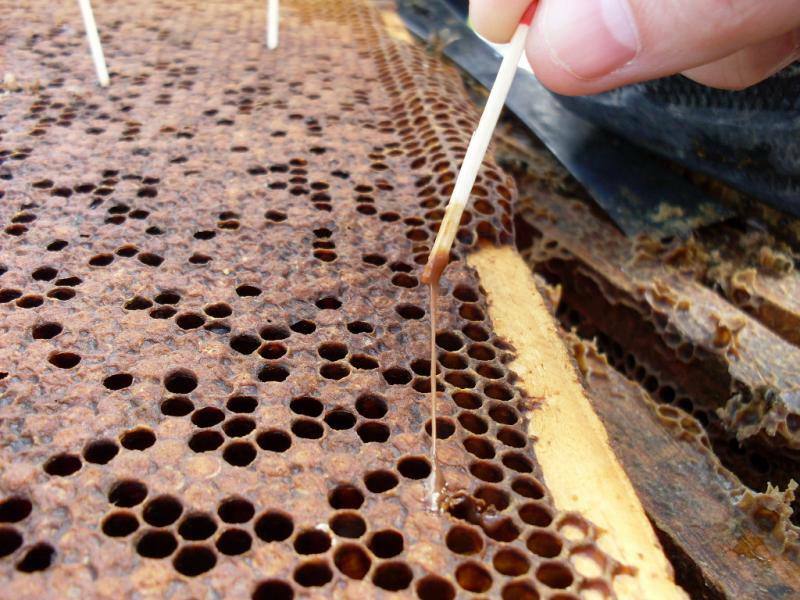 We can perform DECA Checks and thoroughly inspect your hive or hives for American Foulbrood (AFB). This requires each and every frame in the hive to be examined. 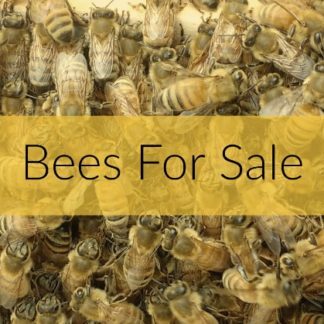 By adding to cart, you will receive an invoice of which you will need to pay the minimum charge ie:One hive, once the invoice is raised we will then contact you to add travel and any extra hives and arrange visit timing. – Price given is for minimum charge being for ONE hive only. Please Note: We will discuss these with you when scheduling your site visit. Once you have booked your inspection, we will then bee in touch to arrange day/time with you and then the mileage to your site will be added. On the day you will be requested to have – at the ready – a smoker and your hive-tools. We prefer to use your gloves. 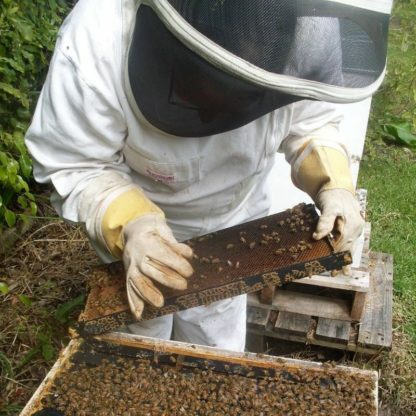 kiwimana staff will only use their own footwear, gloves and bee suits – which are hygienically cleaned before and after each inspection – this avoids contamination and is advised as best beekeeper hygiene practice. Read more about American Foul Brood here. 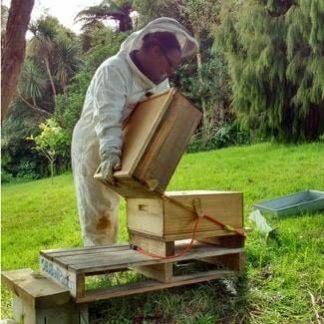 *We charge a fee for Time Travel which is based on the distance between the location of your bee hives and kiwimana HQ, we will add this to your invoice. This price will be added to your order, or we will email you the price. Thorough and knowledgeable – leaving you with better understanding and high confidence in the health of the hives. Amazing advice and so so helpful and friendly! As a first time beekeeper it was so great to have you both onsite to check my girls out and talk me through the process as well as all the additional info, tips and tricks. For more than just an inspection, but also helpful advice and lots of laughs, the Kiwimana team delivers excellent service. As always, Margaret was a great help. Did the DECA check but also gave me some very helpful advice as the girls have been struck hard with Varroa. I know if the girls survive, this will come down to the excellent help from Margaret. Will always recommend Kiwimana’s services! Margaret has the best affinity with bees I’ve seen. The bees were the quietest I’ve seen them and she had every part of the hive out for checking. 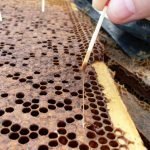 I also learned a lot while she worked her way thorough the hive, giving me a lot of information about general beekeeping practices. Money well spent.